Dental care is perhaps the most visible and noticeable form of healthcare. According to recent studies, lack of proper oral health can give rise to serious diseases like diabetes, stroke, heart problems as well as lack of confidence. When we move into a new area or want to find a reliable dentist for our family, certain things have to be kept in mind. It’s difficult to wade through the fancy advertising and determine which dentist is perfect for us. Not unlike trying to find a great mechanic. This article will make your choice easier by discussing the issues you need to take into consideration before choosing your Family’s dentist. The latest technology – Over the years, the dental care industry has incorporated digital x-rays, sterilization and paperless charts to improved the quality of dental services. There are many potential “toys” that can only increase the cost to consumers as opposed to increasing the quality of care. The skills, training and education – Previously, dental professionals didn’t update their skills by taking continuing education. Things have changed to a large extent, due to the requirements of our government run dental college which requires constant continuing education. Courses on dental techniques, materials, emergency medicine, sleep apnea, snoring, patient management to name a few, help to keep our standards high. 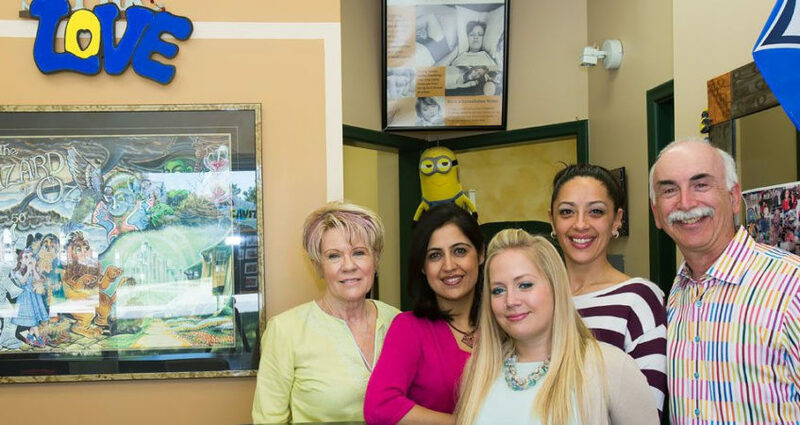 A helpful and friendly staff – When attending a new dentist, it is impossible to predetermine the type of treatment which will be required, but the responsiveness and friendly nature of the staff can be a window into the quality of care that you will receive. How long has the staff been together? Watch how the staff relates to each other. These are indications of a happy staff that will go out of their way for you, the patient. A well-equipped office which is clean – There is a belief among people that if the restroom of a restaurant is clean, the kitchen will be clean as well. The same thing is generally applicable to dental offices. Check to see if the office environment is clean. Are there dust bunnies, blood on counters or garbage on the floor? These are indications of an office that is NOT detail oriented and may not provide the service you are looking for. Dedication in serving others – How are you greeted when you arrive at the office? How does the staff greet other patients? What is the office policy on emergencies? Is everything explained so that you understand treatment options, costs and timing. Does the office use specialists so that you receive the best care? These factors will play an essential role when choosing a Dentist. Scarborough has many Dental centers but our office strives to fulfill all of the concerns that have been discussed and at Dr. Ron Richardson & Associates, our highly professional team deals with many facets of dental care including Dental Fillings, Children’s dentisty, Implant dentistry, Sleep Apnea treatment with oral appliances and much more.